There has been a shudder in the Force for quite some time. The Antifa Storm Troopers and their co-conspirators, the Mainstream Media, had been pounding relentlessly every day and night on every channel (except FOX) that the Trump Insurgent Revolution was losing control and was destined for defeat. I watch NBC News’ TODAY Show and the NBC Nightly News daily to understand what the propagandists are saying about the wrong direction of our country. Then I watch FOX News and read the Wall Street Journal every day to get my head wrapped around more of the truth. 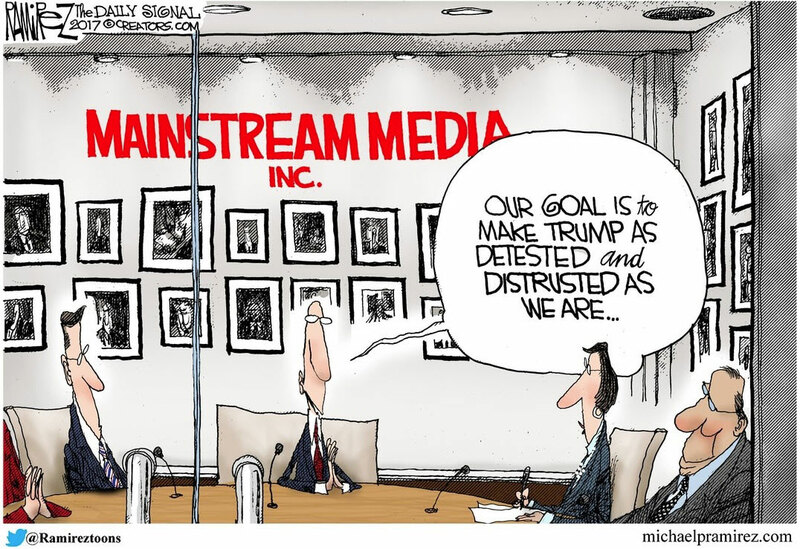 It has been so obvious for so many long months that the Mainstream Media was going all out to condemn President Donald Trump in every way possible, with half-truths and biased reporting, so much so that it isn’t even subtle anymore. It got to the point that the Mainstream Media were predicting, projecting, hoping desperately that a Blue Wave was coming to justify their warped perception of what America must become. It’s gotten so bad that Iran is now reported as being mistreated by the Trump administration. That our European allies are right to not have to spend at least 2 percent of their gross GNP on their own defense. That caravans of immigrants created by The Left are OK because we must be the last haven for anyone who is oppressed, or thinks they are being oppressed -- or simply wants society to take care of them, regardless of the cost. Yet, the insurgency continues, despite the 24-7 blaring that the Universe is in trouble, when, in fact, Floridians and by extension, Americans, know better what to do and how to vote. Poll after poll has told us for weeks, nay months, that Andrew Gillum was going to be the savior of our state, along with the retention of U.S. Sen. Bill Nelson and a new Democratic Cabinet. Thank God the voters rejected this brainwashing by the Mainstream Media, particularly the Florida Press Corps. To a person and every newspaper in the state, they preached incessantly that The Left must, and will, win because essentially righteousness was on their side. Yet, somehow, Floridians knew better. Floridians, by an admittedly small margin, resisted the temptation to tax the rich, raise taxes on the “evil” business community, expand Medicare to Medicare-for-All, provide a free education to everyone, legalize marijuana (which despite prognostications was never a wedge issue in this election), spend more money on education as if money is the only solution that will work. These were the mantra of The Left. This is what George Soros, Ted Steyer and other billionaires spent tens of millions of dollars to propagate, so that their vision of a Socialist world would indeed become reality. But somehow, Floridians saw through this ruse, enough to defeat what we were told was a Second Coming. Glib, smirking, smooth-talking Andrew Gillum was to be anointed not only as the next governor of our state, but alas, as our next president in 2020. How satisfying to go to bed late last night witnessing his concession speech. If only Bill Nelson had had the decency to do the same, because he, too, is out of a job for only the second time since Richard Nixon was elected. Every newspaper in Florida endorsed Gillum and Nelson. Not even one supported Ron DeSantis or Rick Scott. As a student of Florida politics for more than 40 years now, it amazes me -- the stewardship of the Republican Party in Florida that has made our state the envy of the country. For the life of me, and I’ve written about this frequently on these pages, I never thought anyone would ever eclipse the record of job creation exhibited in the eight years of Jeb Bush’s tenure. But Rick Scott has been laser-focused on creating jobs because it was the one thing he learned growing up that was so important to his family. And it’s the most important thing to Florida families as well. Health care, a Democratic top issue according to every poll, was Trump-ed once again by our citizens' need to know that a paycheck is waiting for them weekly or monthly. Rick Scott understood this insightfully, and he has been “on point” about it since he first decided to run for our highest office in the state. The fact that Gov. Scott has paid down more than $2 billion in state debt, that our state pension fund is among the best-funded and strongest in the nation, that unemployment has continuously gone down, is a tribute to his vision and his determination to never lose focus on the pocketbooks of Florida families. To know that Florida’s Governor’s Mansion and Cabinet will stay in GOP hands is relieving and quite satisfying. It means a continuation of fiscal discipline and conservatism that has served our state exceedingly well. Finally, a quick shout-out to Susie Wiles, who has now led four successful statewide campaigns for Gov. Scott (twice), President Trump and now Governor-elect DeSantis. And to Brad Herold, who has been with DeSantis from the beginning, and who helped to make this victory an historic one for Florida. There is balance in The Force once again. Barney Bishop III is a former executive director of the Florida Democratic Party, the immediate past president & CEO of Associated Industries of Florida and is president and CEO of Barney Bishop Consulting, LLC based in Tallahassee. Barney, you’re still a cuck. Barney, you’re still a cuck. You can shower or praise on as many people as you want, you’re still not going to have access to DeSantis or his friends in the legislature. Us Republicans don’t even want to claim you. The question remains: has SSN's resident bigot Leslie Wimes head exploded yet? If not please keep her off the Skyway. We sort of are entertained by her racist rants. Hey Leslie can you say Governor Desantis? I knew you could. My best guess to replace retiring AG Jeff Sessions,.. is former Florida AG Pam Bondi. I don't agree with your politics of division or am so disappointed that you have bought into the extreme views that all media (except one) is extreme and that Democrats are evil and ill-intended. You and I grew up very near one another and at the same time. I recall a time when the differences between Republicans and Democrats were more a matter of leanings and focus. The Republicans were advocates of civil rights; immigration and sound budget practices. The Democrats were for much of the same thing but leaned a little more on the social programs side. My mother was a Democrat and my father a Republican. They let me decide for myself and it was not easy because both parties had accomplishments to celebrate and goals that were hopeful and designed to benefit all. The Kennedy-Nixon debates very much reflected the commonality of values. I recall candidate Nixon stating several times, they Kennedy and Nixon shared similar goals but each thought he had a better approach. Sadly, that is not how those in our parties operate now. A shared vision of where we want to go is something we need to aspire to and you can help by using your leadership and reputation to help bring that about. I don't long for the "good old days" in South Florida. The discrimination against African American citizens was open and painful to witness. The discrimination against women was so real I was aware of it as early as elementary school. But I do long for the time when we knew we wanted to do and be better and our political parties shared in those hopes. Floriduh! What more can you say. The Democrats cleaned house in many other parts of the nation last night! Maine went from totally red to totally blue statewide. New Hampshire went from totally red to totally blue statewide. And the Dems made important gains in a ton of other statewide races. The Dems also took over the majority in the U.S. House of Representatives, giving them an actual say in governance and the opportunity to constrain the absurdities of Trump and his various corruptions. At a very bad time in American political history, the Democratic Party was able to make many meaningful advances. The past two years have verified Hillary Clinton's assessment, made more than two years ago, that Trump's support comes from "a basket of deplorables" characterized by "irredeemably racist, sexist, homophobic, xenophobic, and Islamophobic" views. Demographics are changing rapidly and it's only a matter of time before the Progressives become much more numerous than the Regressives ... even in Floriduh! Chuckle, chuckle, chuckle! What the **** does an Alien Life Form know about anything on Earth? MAGA = Make Aliens Go Away!